To say there’s a resurgence of Lovecraft-inspired literature, comics, music and games is an understatement. More like a cosmic tidal wave of monstrosities that has only just begun to blot out our sun. As we stare to into the sky to make out our impending doom, the Call of Cthulhu video game slams into planet Earth! Question is … how big is its impact? 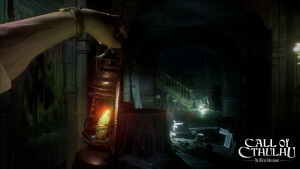 Developed by Cyanide Studio, the first person perspective Call of Cthulhu is Chaosium’s most recent licensed video game release based off their popular pen and paper horror tabletop role playing game of the same name. The tabletop game is often hailed as one of the best role playing games of all time, right up there next to Dungeons & Dragons and Shadowrun. Despite the popularity of the iconic tabletop franchise, Chaosium licensed Call of Cthulhu video games have not always hit their mark. The first person stealth-action Call of Cthulhu: Dark Corners of the Earth, based off the scenario Escape From Innsmouth, developed by Headfirst Productions and released in 2005 has garnished a cult following (no pun intended) but received mixed user reviews due to the lack of its promised features and rushed design. Call of Cthulhu: The Wasted Land, a tactical turn based game developed by Red Wasp Design in 2012, fell short of producing a true cosmic horror experience and instead gave players uninspired game play which quickly became repetitive. It’s not all bad. 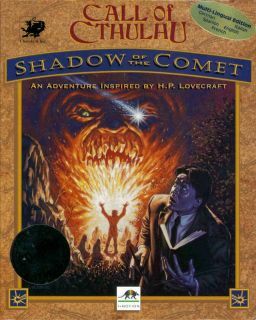 Infogrames’ Call of Cthulhu: Shadow of the Comet, published in 1993, and Call of Cthulhu: Prisoner of Ice, published in 1995, were excellent games for their time with many proclaiming these licensed products felt closer to Chaosium’s tabletop game experience, although younger gamers may feel these games have not aged so well and others may feel the game to be slow paced as well as filled with unnecessarily difficult puzzles. I’ll be blunt. Developer Cyanide Studio does not have as good of a track record, especially when handling a licensed game so dear to my own non-euclidian heart. In between their cycling and motor sports management simulators they’ve pumped out a few licensed products, Games Workshop and HBO’s Game of Thrones to mention a couple, that left a bit of a sour taste in some people’s mouths according to reviews. Perhaps with a bit of expert assistance they’ll be able to produce something appealing to new and old fans. 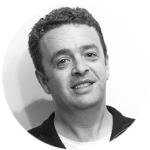 Writer and games designer Mark Morrison, a prolific source for some of the best tabletop Call of Cthulhu scenarios and resources over the past thirty years and also contributing to more than a few video games in his time, has written the original plot for this game. Mister Morrison knows Cthulhu and he knows how the tabletop horror role playing game SHOULD be played, so will his inclusion in the project be enough to snap Cyanide into line should they stray too far from a true Lovecraftian or emulated Call of Cthulhu tabletop experience? You play the role of an alcoholic private investigator, Edward Pierce, who I can safely presume suffers from post traumatic syndrome after his stint in the Great War. You’re sent to the coastal town of Darkwater to investigate the accidental death of the Hawkins family. 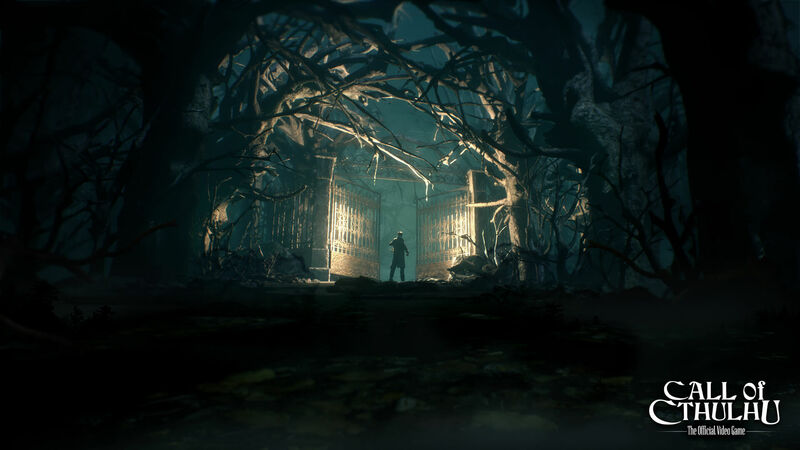 There are many twists and turns in the overall plot, a plot which may leave players who are ignorant to the machinations of writer H.P Lovecraft a little confused and befuddled. Not necessarily bad as it ties into the spirit of things to come, but overall I can’t help feeling the whole story is portrayed as an unintentional mess. 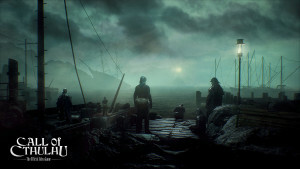 During the course of the game, the player has Pierce investigate objects, books and questions the locals of Darkwater. The game moves from beautifully crafted set piece to beautifully crafted set piece with a bit of optional exploration. Pierce either pieces together crime scenes using a unique ‘investigative mode’, chases suspects, flees collapsing locations, solves puzzles, stealthily avoids enemy detection or shoots to kill. The player may upgrade Pierce’s five core skills; investigation, eloquence, psychology, spot hidden or strength. The medicine and occult skills can only be upgraded by finding and reading books scattered throughout the game. The player is prompted when or if they choose to use these skills and the more points invested in a particular skill the greater the chance of succeeding at Pierce’s task at hand. The player may also unlock dialogue options by increasing their skills, uncovering secrets or finding various pieces of information within the game. At the beginning this game is fairly solid. Exploration is enjoyable, conversing with the locals of Darkwater is entertaining (despite some unintentionally comedic voice acting as well as some janky animations) and the plot is intriguing enough to keep you marching on. 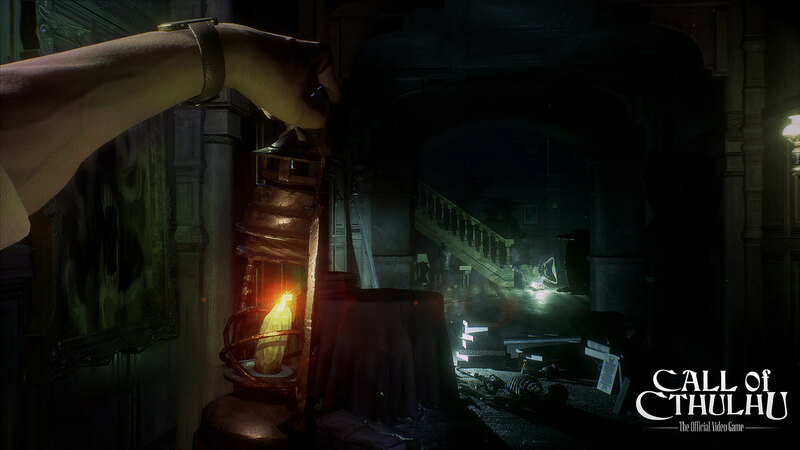 As the game progresses it seems to stray further and further from its investigative roots and turns into somewhat a disjointed horror adventure. 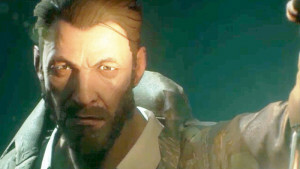 Call of Cthulhu focuses on stealth and investigation, but combat is possible towards the end of the game although many people may feel the gunplay mechanics are uninspired and almost pointless. Multiple endings are available, but players overall choices made during the course of play don’t seem to affect these available endings. I’m still unsure if ANY of my decisions during the game actually impacted anything at all, such as drinking too much booze or how I conduct my conversations. This game wasn’t necessarily bad nor would I put it up on a pedestal and sacrifice a living human being to it. It hits somewhere dead in the middle. It wasn’t exactly what I was expecting and it also didn’t disappoint. The works of H.P Lovecraft are said to be close to impossible to replicate in film and many could say the same for any video game based off his works. Keeping this in mind, Call of Cthulhu presented a thick gloomy atmosphere with some genuinely terrifying game-play. Call of Cthulhu is a slow burning, atmospheric and enjoyable descent into mystery, horror and madness. Its flawed and unimaginative design retracts from the overall game, but for most it shouldn’t be a deal breaker. If you’re a fan of Lovecraft, buy it. 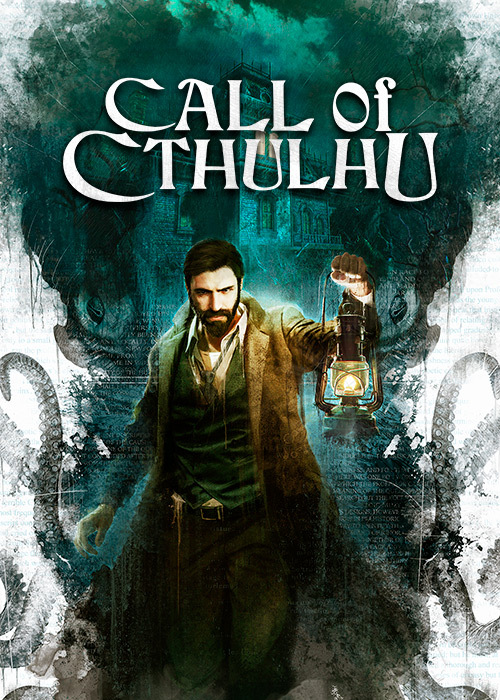 You can buy Call of Cthulhu from the official website, Steam and other outlets. To find out more about the latest reviews, stories and other cool things in the world of games, like us on Facebook. And remember – if you’re game, we’ll play! 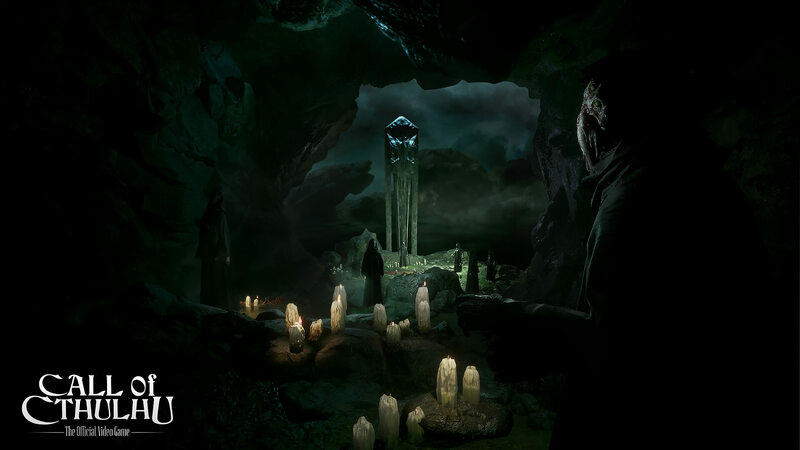 Image credits: Featured image – Focus Home Interactive; Call of Cthulhu: Shadow of the Comet cover – Wikipedia; Edward Pierce close-up – Fortress of Solitude; Call of Cthulhu screenshots – official game website.